If you have ever gone out to your vehicle and asked it to start, only to find out the battery is dead, you may have a current-draw problem. Once reality sets in, you have to think about who you are going to call. The good news is the team members at Enormis Mobile Specialties are experts in diagnosing battery drain issues. Our team has decades of expertise in this area. When you realize your battery is going dead, you often start by having your battery checked out and are told it has to be replaced. You buy a new battery, only to have the problem continue. Then the repair shop points to the charging system and may replace your alternator. Here at Enormis, we do things differently. When a vehicle comes to us with a “dead battery issue,” we begin by finding the problem, not throwing parts at it. Many shops don’t know how to properly diagnose a current-draw issue, so they turn a blind eye to it. We noticed many years ago that we were diagnosing these issues because people were coming back to us after a remote starter installation. Their mechanic told them the remote “had to be the issue” because it was the only aftermarket part on the vehicle. To prove the remote start’s innocence, we would often find the problem for the client. That led to us offering this invaluable service. Since our team specializes in modern vehicle electrical systems, we know how to find the problem efficiently, which saves you money. Since we won’t ask you to buy any unneeded replacement parts that aren’t the problem, you save money there as well. In simple terms, we figure out if the vehicle has a parasitic draw on the battery. If it does, we determine the amount of the draw and then isolate the problem, from the circuit down to the actual offending part. 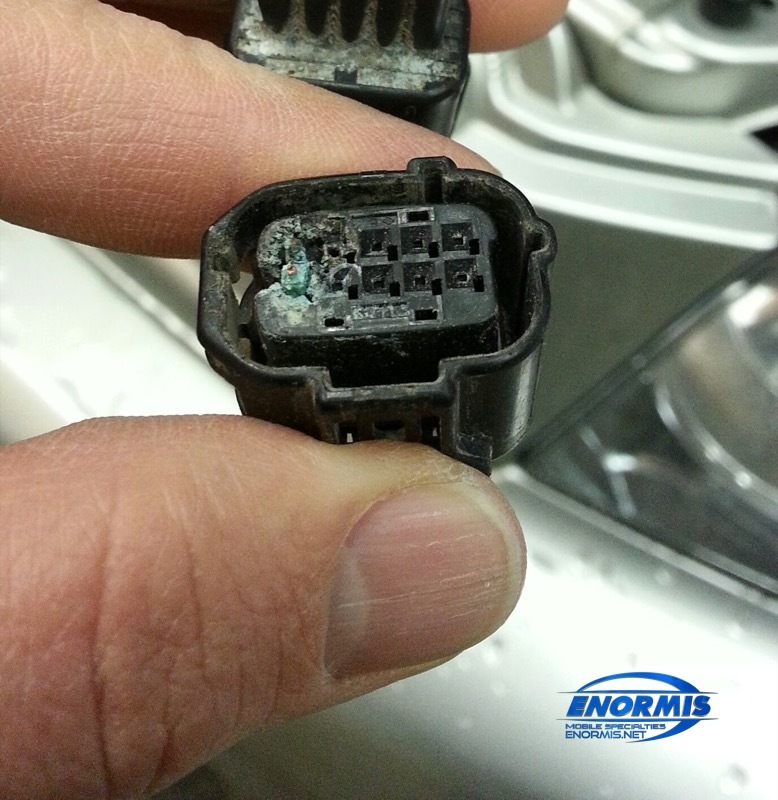 Over the years here at Enormis Mobile Specialties, we have found many different items that can cause a current draw. While it is true that certain vehicles are known to have common problems, the secret is finding the actual culprit. We have found everything from instrument clusters to seatbelt tensioners to corroded wires causing current draws. A plug that looks fine on the outside but is full of corrosion on the inside is one frequent cause. In its most basic form, you have to follow the evidence, not use your gut instinct. The team at Enormis is expertly trained and even includes an electrical engineer on staff. You can be confident we understand what is happening to your vehicle from an electrical perspective. We own the same diagnostic computers used by GM, Ford, Dodge, Chrysler and Jeep, so we can test and perform the same programming as your local dealer. We are an Alldata repair facility with access to any vehicle schematics needed. All of our team are Mobile Electronics Certified Professional (MECP)-certified, the highest certification available in vehicle electronics. If you are reading this page and need our services, we invite you to contact us HERE or stop by our clean, modern facility in Erie, Pennsylvania. 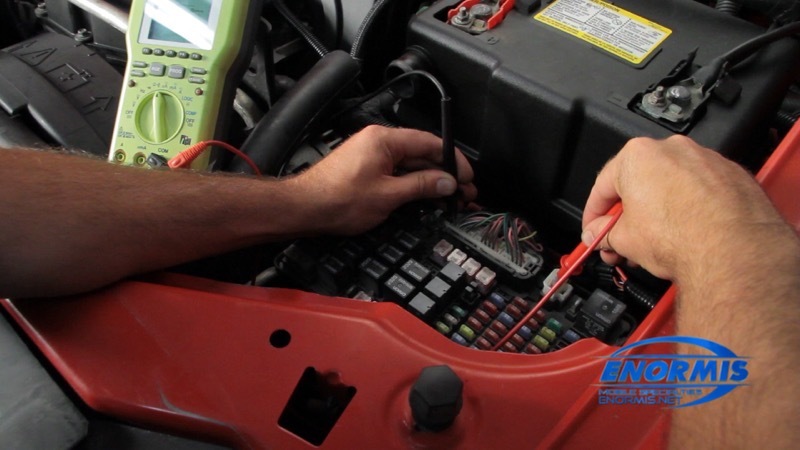 Our dedicated and expert staff will find your electrical problem quickly and efficiently, and get your vehicle back in proper working condition, often for less money than other shops and car dealers. Electrical issues are our specialty!